White, star-shaped 3-5 in. flowers are edged in refreshing blue hues for a showy effect in the late spring garden. This Swedish cultivar grows 7-9 ft. tall, making it ideal for growing in patio containers or the garden. Reblooms in late summer. Ivan Olsson Clematis grows best when planted in full sun to partial shade in well-drained, fertile, moisture-retentive soil and in an area that is protected from the wind. 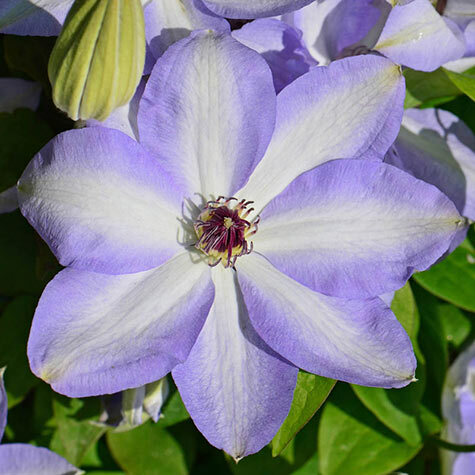 Their ease of growth, manageability and gorgeous flowers make clematis a favorite vine for growing in gardens, along a fence or trellis or on the patio. Potted. Zones 4-9.